"Life has never been easy for this single mother. She has fought against her family and society for survival. Now she is losing her battle against brain tumor that has taken her eyesight partially and slowly pushing her to death." Pritha was married against her will to a person who started torturing her from the very next day of marriage. Her husband used to beat her mercilessly. They made her stop education and was not even given proper food. 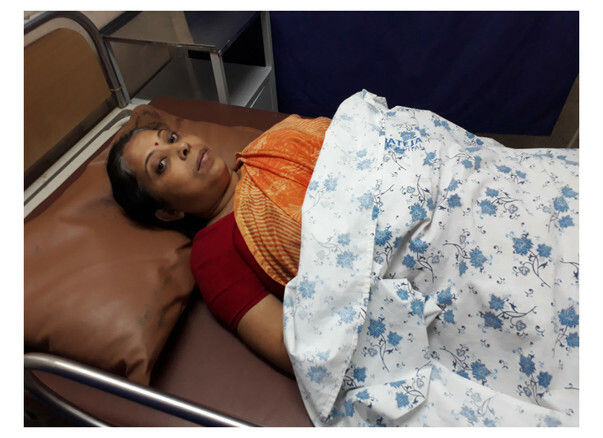 Life had become miserable for Pritha, she had lost all reasons to live but then a ray of hope entered her life in the form of her daughter. Pritha got a new reason to live. But her husband was not happy with the kid as it was a girl child. Pritha realized it was not safe to keep her daughter in the house. So, one day she just decided to run away from her husband’s house with her little daughter. My dream was fulfilled seeing my daughter finishing graduation. But my happiness was very short lived. I had no education, no job, no family support, my neighbor sympathized with my condition and gave me a job in her beauty parlour after giving me some training. I worked very hard to give a bright future for my daughter. "My only dream was to see my daughter finish education and become independent. I didn’t want her life to be like me." Pritha was content with life seeing her daughter finish her graduation. Her daughter started teaching kids and even helped her mother at work. 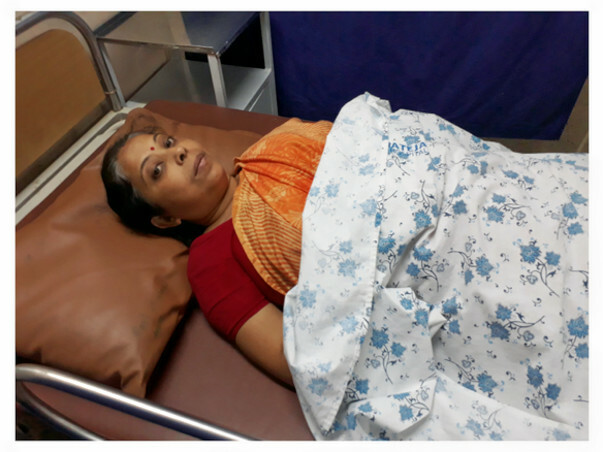 Pritha was waiting for her daughter to get a job so that she could retire from work. But life had different plans for her. 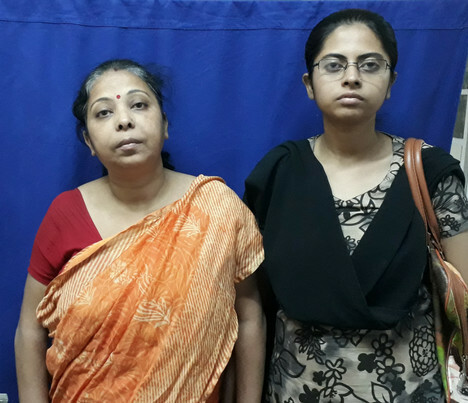 In January 2017, Pritha realized she has an eyesight problem. Initially, she thought it might be some eye power fluctuation but it was more serious than they had imagined. 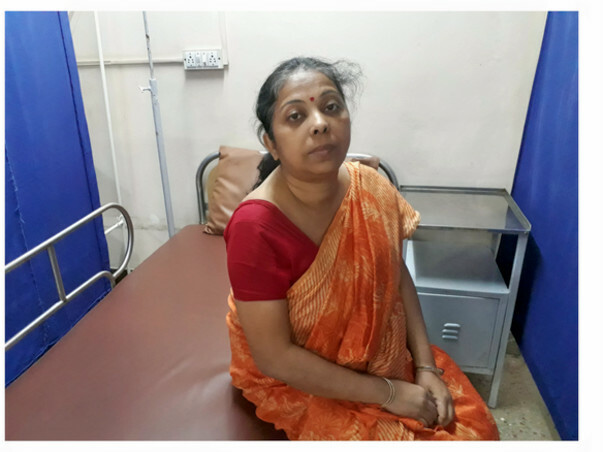 After visiting different hospitals in Kolkata they got to know she has a brain tumor. To add to their trauma the doctor couldn’t suggest any remedy to her problem. We just started to see happiness in life when this news came to our life and ruined everything. 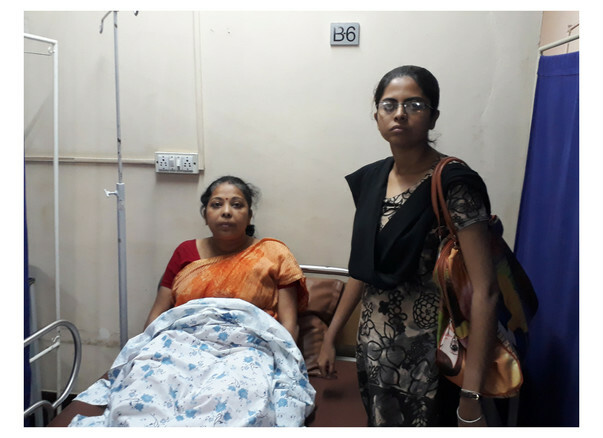 Pritha’s condition had already deteriorated a lot. She has almost lost vision in her left eye. Taking one of her client’s advice Pritha’s daughter Puja brought her to Bangalore. Our hotel owner was kind enough let us stay in their house when we had no money to pay the hotel rent. For a month, they are in Bangalore with no earnings. Their savings are totally exhausted. They have no money left even to pay rent. The owner of the hotel empathized and invited them to stay at his house. She is physically ready for the surgery. 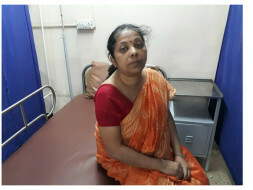 She is struggling to come up with money for this treatment. Puja has tried every possible way to gather money for her mother. She has even exhausted the prize money that she got for outstanding performance in her Board exams. "I just want to bring my mother out of this pain. She has sacrificed a lot for me and now I feel so helpless to see are suffer so much. 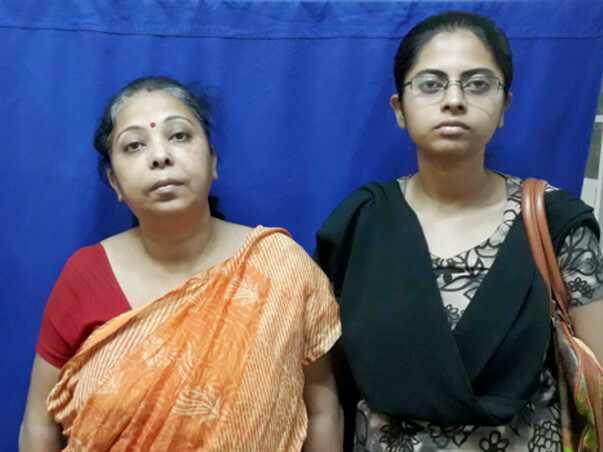 She cannot see properly, she suffers from massive breathing problem, terrible ear pain and vomiting problem." 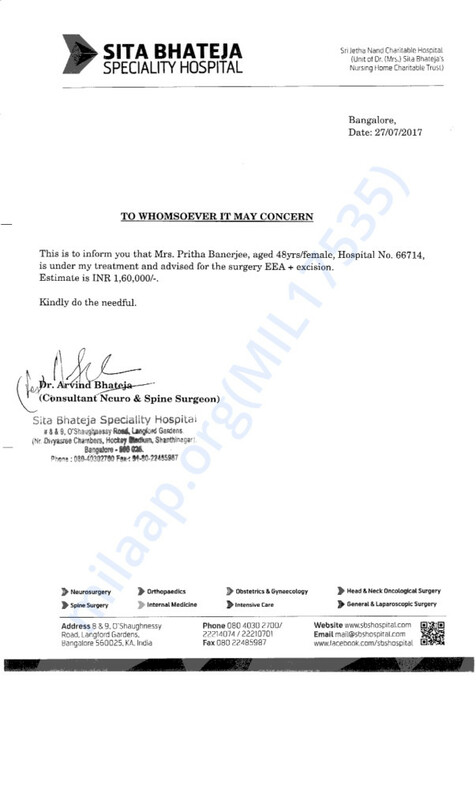 According to doctors, Pritha needs a brain surgery as soon as possible, and time is running out. 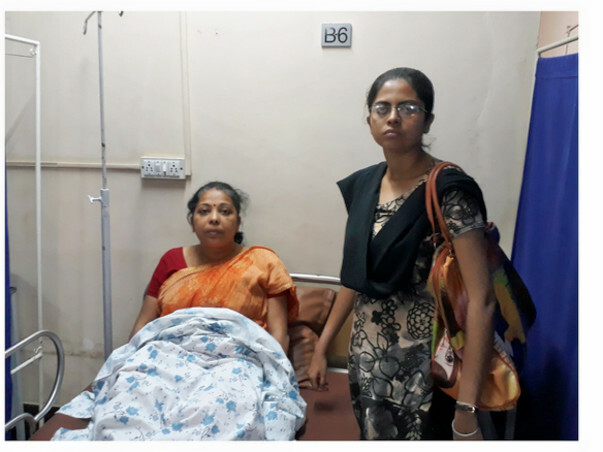 Puja needs to arrange 1.6lakhs for the surgery to save her mother. The scholarship money and the little money she collected from her friends went towards the bills so far. 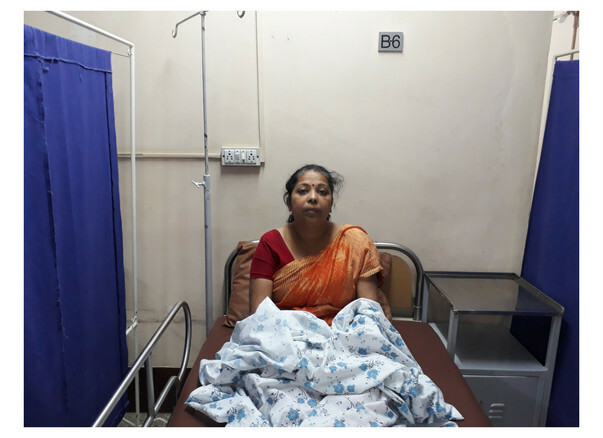 With no source of income and no money in hand, it is impossible for Puja to save her mother all alone. Your contribution can save Pritha from blindness and even worse, death. God Bless. Pray this bad phase ends soon. Pray to god for your early recovery. You're an inspiration! Pray that you recover very soon.